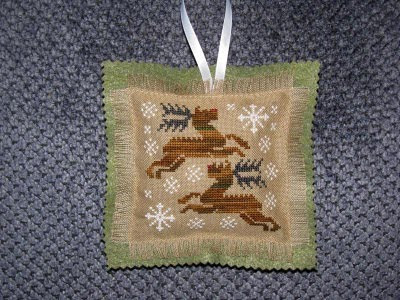 This pinkeep is for my friend Regina. 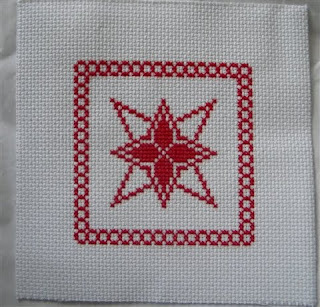 I found the pattern on a french side. Grilles de Maryse. 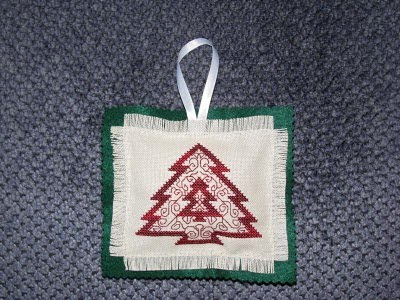 I have finished my FaLaLa Ornament from Little House Needleworks ornament of the month SAL.My first finish of the year! 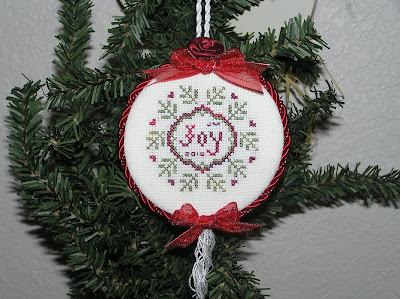 Here is my Joy ornament for January. Here is a very late first post. These are two ornaments I made in December, both are Mill Hill Tiny Treasured Diamonds. 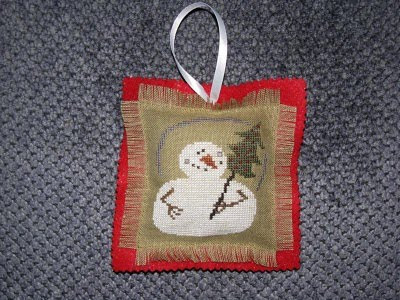 This is from Cross Stitch Crazy (Chrsitmas 2006 - Issue 92) Festive Feast found on page 62. I plan on doing a couple more of these. 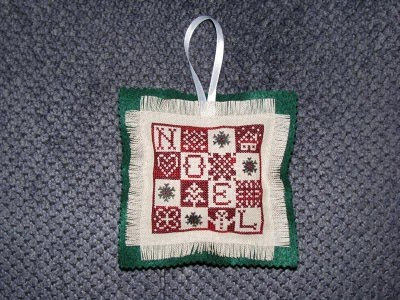 Here are 4 ornaments I finished in December 2009. 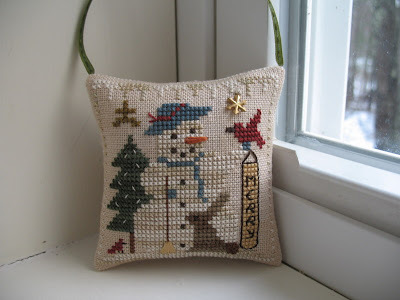 All four are designs from various annual Just Cross Stitch Ornament magazines.